There are plenty of self-anointed subject matter experts happy to pontificate upon complexity. Sources, causes and their own approach to solutions but what they all (except Ontonix) lack is the means to establish a sound (verifiable) quantitative basis from which to commence the process of ‘complexity management’, monitoring and maintenance. The following five-step process forms the backbone of all our service engagements. It reflects our extensive experience in Quantitative Complexity Management in a multitude of applications spanning a wide variety of industrial sectors. It also illustrates the typical structure and workflow in a business simplification and ‘robustification’ project. via Ontonix – Complex Systems Management, Business Risk Management. [Ontonix] Coping With Turbulence: More Theories and Math? …math is often used to model things that cannot be modeled (in the sense that the results such models produce are mathematically correct but totally irrelevant). Risk, and especially the consequences of risk, are something that math is unable to embrace. This is because risk lacks a definition, a metric (standard deviation is NOT a measure of risk) and, most importantly, because it is a reflection of subjective human sentiments as to the potential level of regret after some hazardous circumstance has actually materialized. Now how do you measure that? Does this sound familiar? You have an effective solution to a complex challenge. But when you try to get it accepted, you find that it differs too much from the way solutions are expected to look. Creating openness to the unconventional solution seems an insurmountable challenge. Here is an example that may help you. My quest for solutions to complex challenges started around 1988 while I was working for a data centre. Management recognized that, with increasing complexity, we were losing the overview: With every change we made, and every problem we tried to solve, we were in danger of creating new problems. I was asked to investigate a solution. I was never one for Geometry but these ‘seriously simple’ diagrams, when viewed in real world contexts, make much more sense to me now than hours in a classroom ever did back in the day! 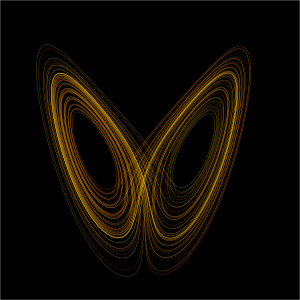 Sudden paradigm shifts, bifurcations, ‘tipping points’ or jumps, that can represent crisis or innovation, happen more than our linear-thinking ever allowed for…but still we find it difficult to accept the implications of what science has shown us to be the case. PLEASE take the time to read the article and watch the (short) explanatory videos: link below. …intersections often represent answers. Solutions. States of equilibrium. In mathematical models of economies, or ecosystems, or other kinds of dynamical systems, intersections are where variables come to rest and settle down. In economic models, for example, the equilibrium price of an item is set by the intersection of supply and demand curves. If that intersection suddenly vanishes, the price has to jump. via Dangerous Intersection – NYTimes.com. Edge.org is one of, if not, THE go-to place for insights from great modern thinkers across a range of subjects. Multi-disciplinary is now, increasingly, the way of things in Academia and in business too. Generalists appear to be in the ascendancy as the limitations of the narrow views of, past, over-specialisation and benefits of recognising the universalities of [non-linear] complex systems have become more apparent through examination using the tools that technological innovation have given us.